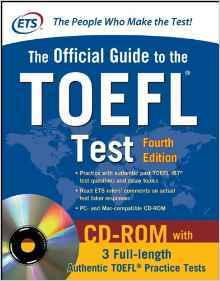 It is very difficult to find the best TOEFL prep book for your particular situation. This exam has many different options for test study guides, from many different companies. The ETS TOEFL is a very difficult test, and has a huge say on your future. 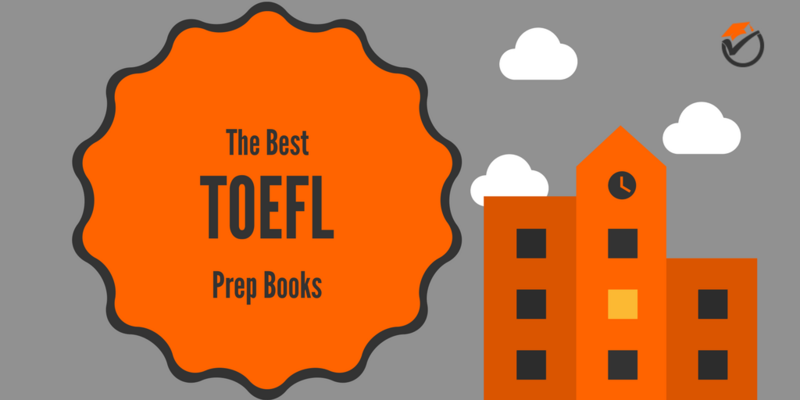 Because of these reasons I have created this list of the best TOEFL iBT prep books. 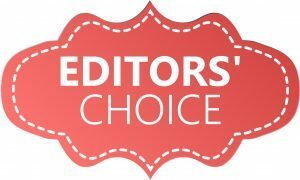 All of the info below should make it very easy to choose which review guide is right for you. Want to see which came out on top? 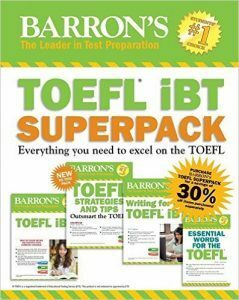 Barron's TOEFL iBT Superpack "
Barron's TOEFL iBT Superpack is our best overall study guide bundle on our list of the top TOEFL prep books. This “superpack” includes plenty of practice tests and over 20 model essays and model integrated tests. There are copious amounts of practice questions to prepare you for exam day. The answers and explanations for these practice exams take up over 1/3 of the practice exam book. This means that the practice exam answers and justifications are very exhaustive and in-depth. You won't be left scratching your head in confusion after a difficult question. These explanations also tell you why each individual answer is wrong, it does not just focus on the right answers like most other guides. Barron’s goes into depth on 4 main skills: note-taking, paraphrasing, summarizing and synthesizing. This bundle guides you through these skills and does so well. The main imperfection of Barron's Superpack is that some of the listening portions sound like someone is reading instead of talking. On the actual exam there would be a lot of uhms and pauses during the listening portion. These are not included in the Barron’s lecture tapes. There's also a minor issue with the reading questions. The exam will ask you to summarize the lecture, while these questions ask you to summarize the reading. Even with these faults, we rank Barron's Superpack as our top overall study guide bundle for the exam. 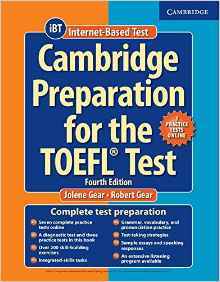 Cambridge Preparation for the TOEFL Test Book is our second best overall prep guide on our list of the top rated TOEFL iBT preparation books. The abilities that you need for the test are broken down extremely systematically. You won't be left scratching your head in confusion from not being able to understand a certain topic. This prep book also gives very ample amounts of skill repetition and gives very good practice questions. The lessons and drills are for every single skill that you will need on the test. The chapters are organized into step-by-step lessons that start from basic skills and move to more advanced skills. This makes it very stress-free to learn everything that you need to know for the exam, increasing your score. One weakness with Cambridge is that some of the practice material is actually too difficult compared to the actual exam and not very well written. Even though it will prepare you just fine for the exam, it is sometimes challenging to get through. Another flaw is that some of the explanations for the practice tests are too short. Sometimes you are left wondering why you got a question incorrect and, therefore, cannot learn from your mistakes. We have ranked Cambridge Preparation for the TOEFL Test Book as our number 2 best overall TOEFL iBT study guide. The Official Guide to the TOEFL Test is are third best overall and best value study guide on our list of the top ETS TOEFL review books. Since the Official Guide is an official prep book, the practice questions within are written by the writers of the actual exam. The sample questions on the practice exams capture the difficulty of the actual test. They are not too east or too hard. This means that you will not be surprised on exam day with question types or question difficulty that you have not seen before. There is also an abundant volume of questions to practice. One flaw of the Official Guide is that the sample exams take up more than 60% of the book. This means that this book is very low on detail and review. You may want to purchase another guide if you are looking for in-depth English and grammar review. Also, the description of the exams give almost no instruction or tactics for taking the test. 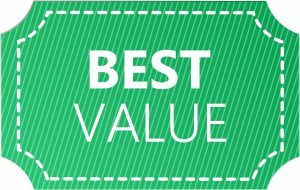 In spite of its weaknesses, the Official Guide is our third best overall and best value study guide for our list of the best TOEFL review guides. 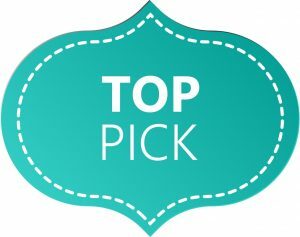 Speaking and Writing Strategies for the TOEFL iBT is our top pick for speaking and writing prep guide on our list of the top rated TOEFL prep guides. As you very well may know, reading and listening is one thing, but speaking and writing is another different story. Receiving information and assembling and conveying information is very different. This is why a lot of people have difficulty on the talking and writing portions, and not on the understanding and listening portions of the exam. Speaking and Writing Strategies is geared towards those types of people. This guide has lots of advanced strategies for the speaking and writing portions of the exam that no other prep books have. Obviously the one main flaw of this title is that it only focuses on speaking and writing tactics. If you would like help on reading and listening, you will need to purchase another prep book to complete your study. 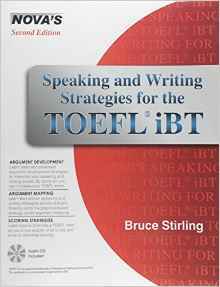 Speaking and Writing Strategies for the TOEFL iBT is our top pick for speaking and writing for the TOEFL exam. 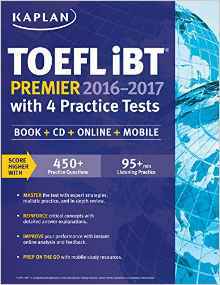 Kaplan TOEFL iBT Premier is our fifth best overall prep guide on our list of the best TOEFL iBT prep guides. This study guide provides realistic descriptions and advice for test taking strategies. You will know all of the tactics and strategies for achieving your best mark on the exam. This book also includes a sufficient number of practice exams and questions. In the reading and listening sections especially, the answer explanations are done very well and thoroughly. You will effortlessly be able to learn from your mistakes, thus increasing your score. One fault of Kaplan's is that the language is a bit too advanced for some students to read comfortably and comprehend everything. It may be time-consuming to go through certain chapters and segments when it does not need to be that difficult, wasting your time. Also, some of the practice tests have mistakes. It is frustrating to be wondering why you got a certain question wrong when you actually got it right. Because of these flaws, Kaplan's is our fifth best overall TOEFL prep book. Our suggestions offer the most cost effective way to study for the exam without breaking the bank. Even though Barron's Superpack is the most in-depth and has tons of practice questions, it is also the most expensive and is the lengthiest. Buy Barron's Superpack if you are looking for the best overall study guide and do not care about price or length. If you are looking for something shorter and cheaper that focuses on practice questions, then pick up The Official Guide. And, of course, if your weaknesses are either speaking or writing then pick up Speaking and Writing Strategies.